I never thought I would be writing this as I usually stick to technology related topics. But as the OpenText annual customer conference Content World ends today, I took away an interesting experience. Our marketing organization pulled off an awesome show which includes a complete re-branding of the visual imagery at the show. With the start of the show, all our corporate images changed to a new, fresh and contemporary look. And we have consistently changed everything – from the show signage and presentation templates to the web site. Pretty impressive! As part of the conference, we have run a series of customer focus groups on our branding. I have listened in on several of the sessions and something amusing occurred. When asking about the new images we use, several customers commented that the people in the pictures don’t look real – they look too good as they are clearly models. "They are not the kind of OpenText people you could actually run into at the conference". This is amusing, because many of the images feature actual OpenText employees. Yes, they are all good looking and smiling - just like models, but they are my co-workers from Waterloo. You don't believe it? Well, just check out this picture of Robyn in front of “her picture” – straight from the show floor. Robyn works in our Corporate Marketing group and she has graciously allowed me to use this picture. So, what’s the take-away? Well, customers are always right but the focus groups might be wrong. They did provide us a lot of valuable feed-back that we will act upon but yes, while the images look like models, most of them are OpenText employees. 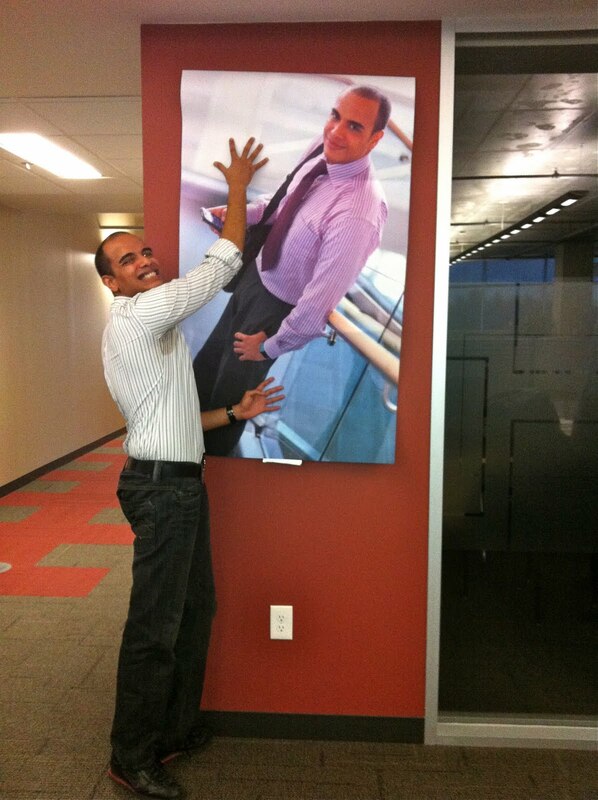 By the way, why is there no picture of me, OpenText Marketing?